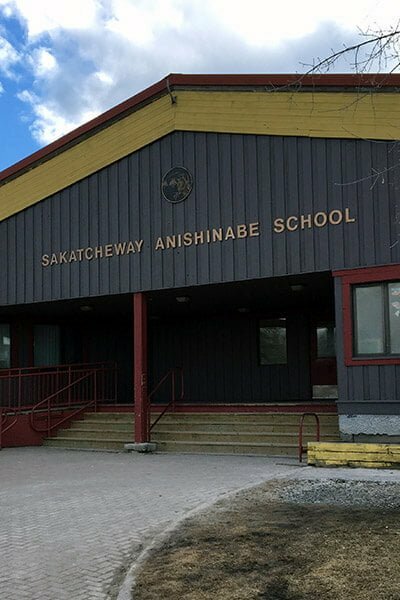 Sakatcheway Anishinabe School offers classes from Junior Kindergarten to grade 12. The school has an elementary and a high school wing. The philosophy of Sakatcheway Anishinabe School is to provide all students with a foundation in the culture, skills, and traditions that the Ojibway people will need to function in the modern world and to ensure that each student is equipped to make sound decisions about their life.